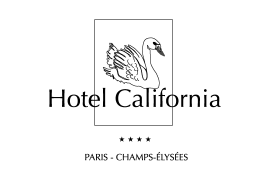 Known for its personal and attentive service, since 1925 Hotel California Champs-Élysées Paris has aimed to maintain the tradition of the ‘great Parisian hotel’ in a beautiful private residence. 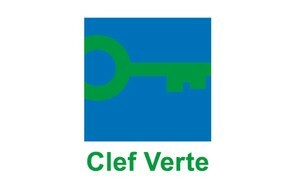 This is the ideal place to stay whether you are visiting Paris on vacation or for business. Start your day with a hearty American breakfast. On the inside, a warm setting and comfortable furnishings prepare you for your culinary journey. It is served from 07:00 to 10:30 during the week and until 11:00 on weekends. It is served every day from 07:00 to 10:30. Our warm and multilingual receptionists welcome you at any time. They will do their best to make your stay in Paris a perfect moment of relaxation. Do not hesitate to ask them for booking shows and restaurants, to call a taxi or for general information about Paris. During your stay, do not hesitate to ask our concierge service for your requests. Our concierge will open the doors of the City of Light. An intimate, relaxing setting just steps from the bustle of the Avenue des Champs Elysées. The patio is open for lunch and dinner or for sipping a cocktail in the shade of a parasol next to a tinkling fountain. Tables are arranged around the patio in such a way that they provide intimacy within a harmonious layout. The arrangement is ideal for business meals, which are served with the necessary speed and discretion. Open from April to October, depending on the weather. Wifi is free in all the hotel and our guests can also access the business center. For any reservation you have at your disposal a « Handy » smartphone allowing you to make international calls, use all your favorite apps and browe the web for free at the hotel and outside. Our hotel is certified "Safety-site", a label issued by the Paris Police Prefecture, which guarantees the establishment of a complete security system, inside and around the hotel, and close collaboration with the authorities. The Hotel California is committed to limiting the environmental impact of a night with breakfast, and we offer our customers more sustainable consumption practices.